The Bull City is growing, no doubt about that. The past two decades have seen our city almost double in size! Naturally, our infrastructure, housing, and services have required serious upgrades. We’re doing our part at the Brannan! But we aren’t the only downtown Durham development project in the city, not by a long shot. Here are some of the biggest developments you can expect over the coming months and years. A hotel on a college campus isn’t a new idea; Appalachian State once housed the Broyhill Inn and Conference Center, now scheduled for demolition. 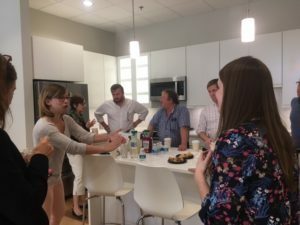 But in the Triangle – where numerous universities intersect with the Research Triangle Park – the practicality of JB Duke is undeniable. Its location on Duke’s historic campus belies its Scandinavian-inspired architecture, state-of-the-art meeting spaces, and modern guest rooms. 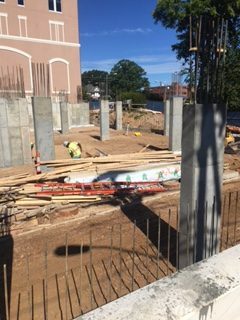 The hotel opens in January 2017. Durham is filled with the corpses of old brick buildings. They give the city a distinctive, Southern character, and are popular for reclamation and renovation. The Jack Tar is something different. Its wacky architecture speaks the language of the year it was built: 1962. It served as a sort of auxiliary building to the upscale Washington Duke hotel across the street (whose namesake relocated elsewhere), supplying a pool and parking. The renovation will serve a similar demographic with mid-priced, contemporary rooms. It will open as Dream Hotel in spring 2017. Once the site of a car dealership, about 18 acres of concrete between the Durham Bulls Stadium and the downtown freeway sit unused, old, and gray. 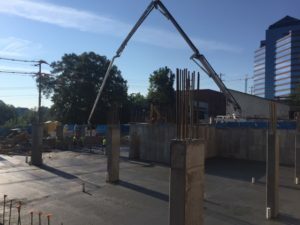 Two projects are set to transform it into a collection of high-rise office buildings and retail space, one of the few projects in downtown that is entirely new construction. The necessity goes beyond aesthetics; office space downtown is seriously limited, a big problem for the Triangle’s otherwise ripe startup climate. Completion dates have not been announced yet. 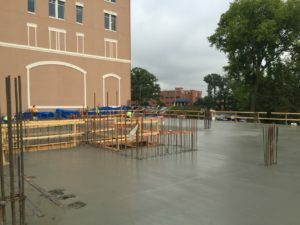 The heart of Downtown Durham is the site of a $284 million, twelve-block renovation project that brings a mixture of office, residential, and leisure spaces. The centerpiece of it all is a shiny, 27-story mixed use building that will change the skyline forever. Construction is well underway, and should be completed by Summer 2017. The tower’s presence near downtown hotspots will make it impossible to miss. 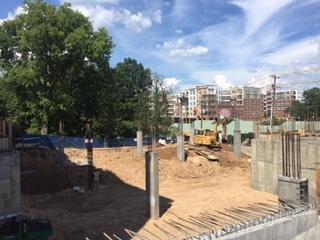 The upper parking level at The Brannan is taking shape! 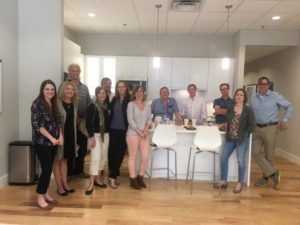 The Brannan was pleased to host brunch for Terra Nova Global Properties this week at the Sales Center at 400 Hunt Street. Call 919-973-1516 for details on Downtown Durham’s most exciting new address! Take a look! 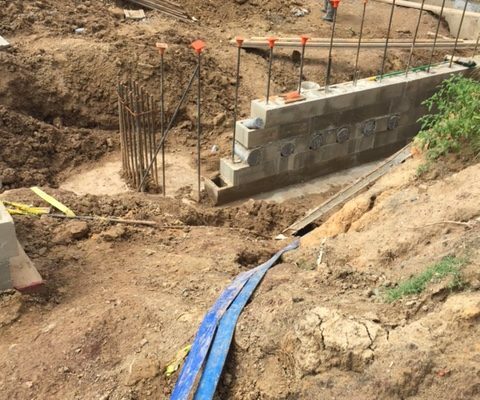 Shoring for first elevated/upper parking slab work is taking place as construction progress continues at The Brannan. Contact us at 919-973-1516 to learn more about opportunities at Durham’s most exciting new address! 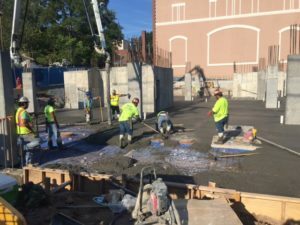 Work has begun in pouring the slab-on-grade foundation at The Brannan! 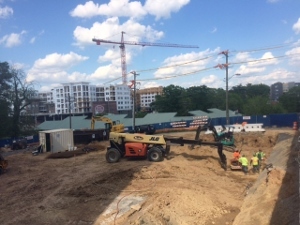 Stay tuned for more updates and contact us at 919-973-1516 to learn about opportunities at The Brannan! 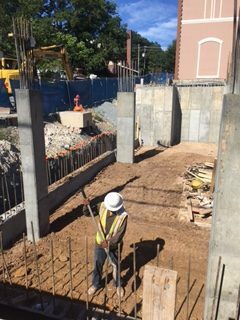 Construction continues to be well underway at The Brannan. 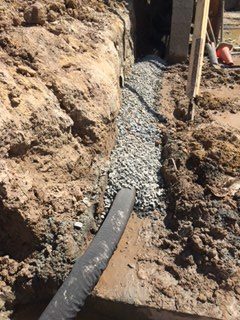 Activities include backfilling and compacting to SOG (slab on grade), and lower parking lot work. 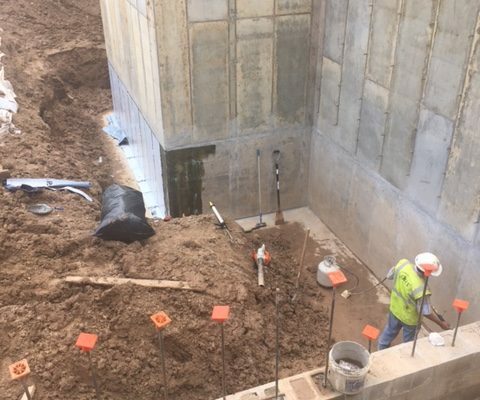 Also, a foundation drain is being installed. 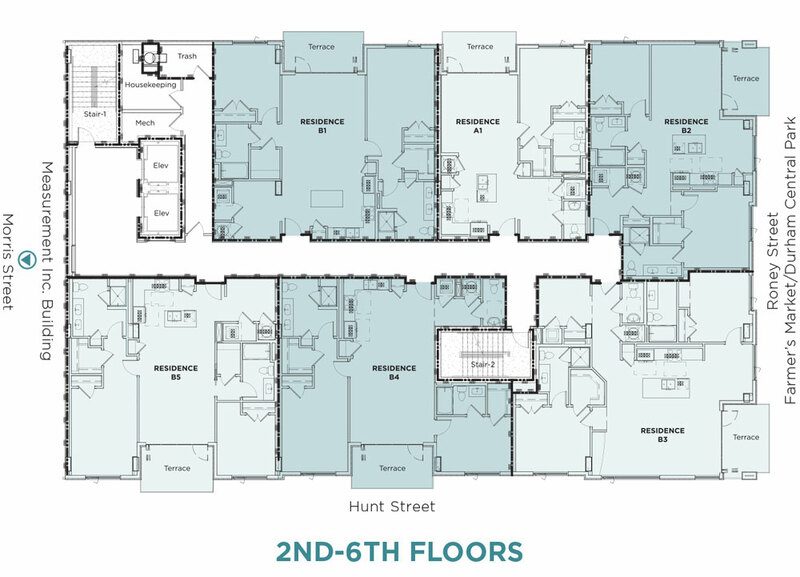 Learn more about The Brannan while the opportunity is available! Contact us at 919-973-1516. 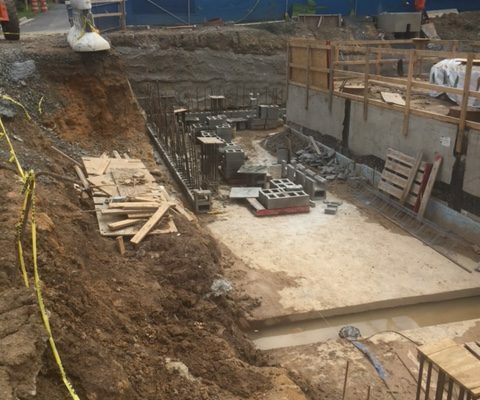 We are working on the masonry CMU wall from the foundation to the slab on the lower level parking area, and waterproofing the elevator pit in preparation for backfilling. 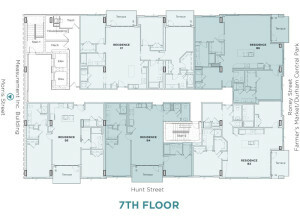 The Brannan is pleased to provide floor plan options that truly integrate home and lifestyle. 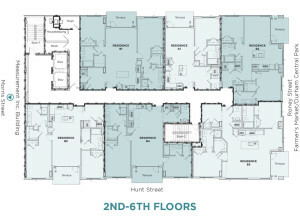 Click here to view available plans (noting that all A1 and B2 opportunities are under contract!). The time is right to be a part of Downtown Durham’s most exciting new address! Contact us at 919-973-1516 or visit us at 400 Hunt Street, Durham 27701. The Brannan is pleased to be a part of the summer issue of Duke Magazine. 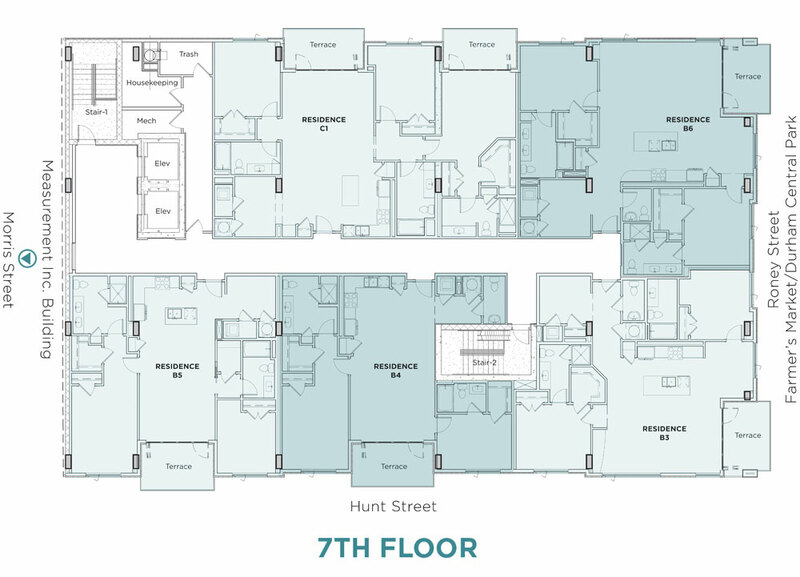 Contact us today at 919-973-1516 to learn more about Durham’s most exciting new address! 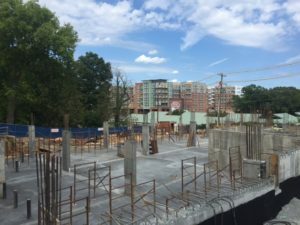 Henry Lambert, Principal of Lambert Development, LLC, is pleased to announce that construction is underway at The Brannan, condominiums located at the corner of Hunt and Roney Streets in Durham. Set on a ridge overlooking Central Park and Downtown Durham, The Brannan was designed by Roger Ferris + Partners in collaboration with JDavis, a leading condominium architect in North Carolina. 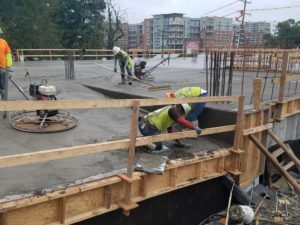 Contracts are currently being taken for The Brannan’s exclusive 35 condominiums, consisting of a variety of eight floor plans ranging from 842 to 1,767 square feet. Each home at The Brannan will feature a floor-to-ceiling fully retractable glass door, screen, and shade opening onto an expansive terrace, allowing owners and guests panoramic park and city views. 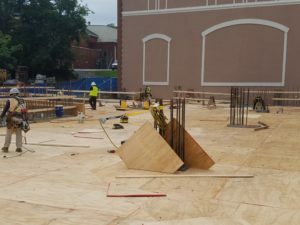 Interiors will include hardwood floors throughout living areas and well-detailed kitchens with quartz countertops and stainless steel appliances. Luxurious baths with top of the line fixtures will also be standard. 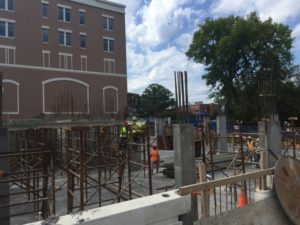 A private parking garage with assigned spaces will be located under the building, with elevators from the parking levels to the upper floors. Lambert Development is a privately-owned real estate development company founded by Henry A. Lambert. 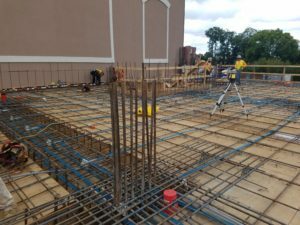 The company is known for its expertise in developing luxury condominiums, mixed-use retail/loft properties, commercial properties, and the renovation of historic sites. Recent projects by Lambert Development are located in Los Angeles, Pasadena, San Diego, and San Francisco, California; Denver, Colorado; and Cap-Ferrat, France. Sales and marketing for The Brannan are being managed by Berkshire Hathaway HomeServices York Simpson Underwood Realty. For more information, call Molly Barnes at 919-973-1516 or visit www.TheBrannanNC.com.